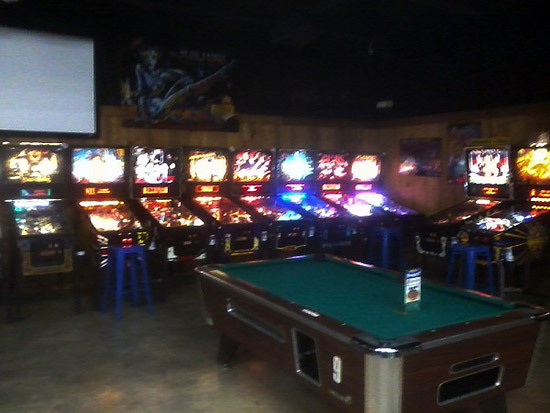 Cactus Jack's is a huge arcade that has been at the same location since 1974. 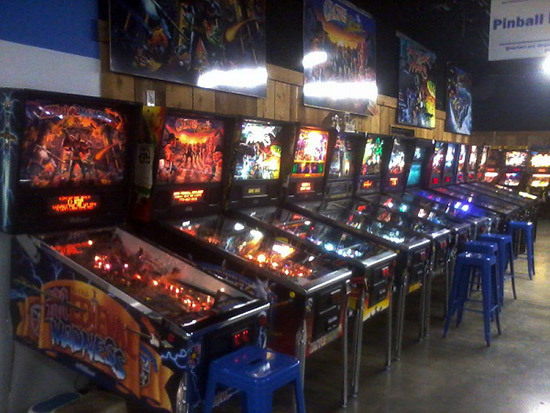 You can play skee ball, basketball, and other games to earn tickets to spend in the prize room, while they also have a variety of racing and shooting games, classics videos such as Joust, Asteroids and Defender, two air hockey tables, four pool tables, and a single foosball table. But this is Pinball News and you are reading this to find out about pinball. 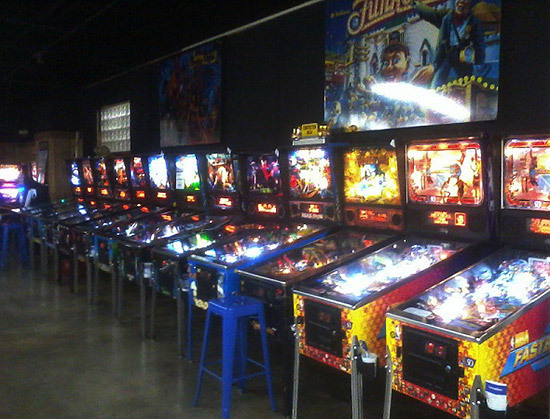 They have fifty-two pinball tables available to play as I write this. All well-maintained. These include all-time greats like Medieval Madness, Attack from Mars, The Addams Family, and Lord of the Ring, classics such as Demolition Man, Terminator 2 and Star Trek: The Next Generation, plus the newer games like The Walking Dead, Iron Man and Mustang. 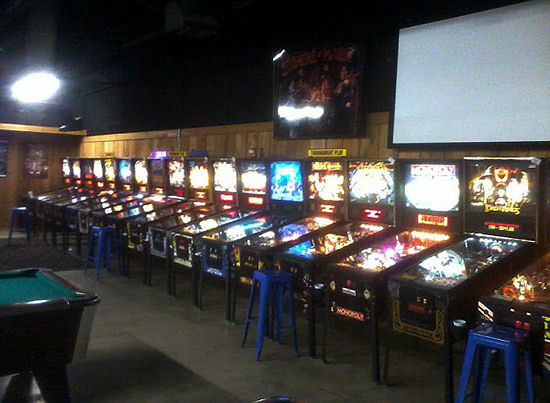 The Oklahoma Pinball Enthusiasts hold tournaments here about once a month, and have just started (January 2015) a Tuesday night pinball league. Cactus Jack's is located at 1211 North Council Road in Oklahoma City. That is in the west part of the city, a little over a mile off the I-40, so it is easy to get to. If he wants to play pinball, but she wants to shop (or vice versa), there is a big outlet mall just a mile away.